It’s three weeks into September and I am still day dreaming of a warm beach and iced coffee. I don’t think I’ve accepted Fall yet, and to combat my denial I have been turning to some sweet summer scents that almost make me believe I’m actually at a beach. 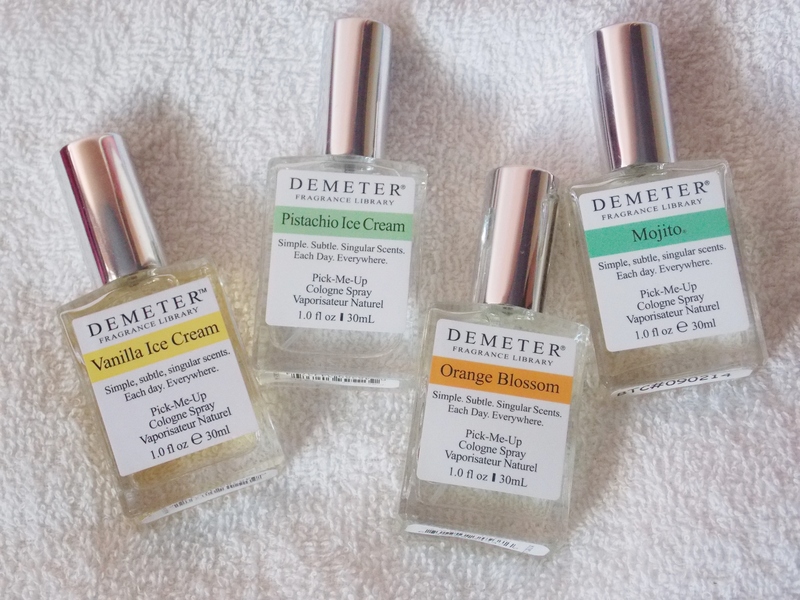 In case you aren’t familiar with the Demeter Fragrance Library, it is a huge collection of crazy amazing scents. Some of them are strictly crazy (for example Glue and Sawdust) but most of them are downright delicious! You can check out all of the scents here. Pistachio Ice Cream, a blend of sweet and nutty scents that combines in the most delicious, and mouth-watering, way. It doesn’t smell like the plain nut but it totally smells like the ice cream. I was surprised at how much I enjoyed this scent since it is such an odd concept, but it really works! Vanilla Ice Cream, a warm, sweet scent that will evoke visions of ice cream shops and sprinkles. This is almost a classic vanilla fragrance but there’s a little extra something special. Orange Blossom, another bright scent that brings out a fruity light fragrance. This is like any classic orange scent but just a hint sweeter and less citrus-like. Mojito, a fresh and bright combination of citrus and mint that smells as good as the drink. If you want something light and refreshing this will hit the spot perfectly. The lime isn’t too overwhelming and it balances nicely with the mint. Not too sweet or fruity. These scents have been helping me get through the start of Fall, but pretty soon I will be ready for some yummy seasonal fragrances like Pumpkin Pie and Candy Cane Truffle. 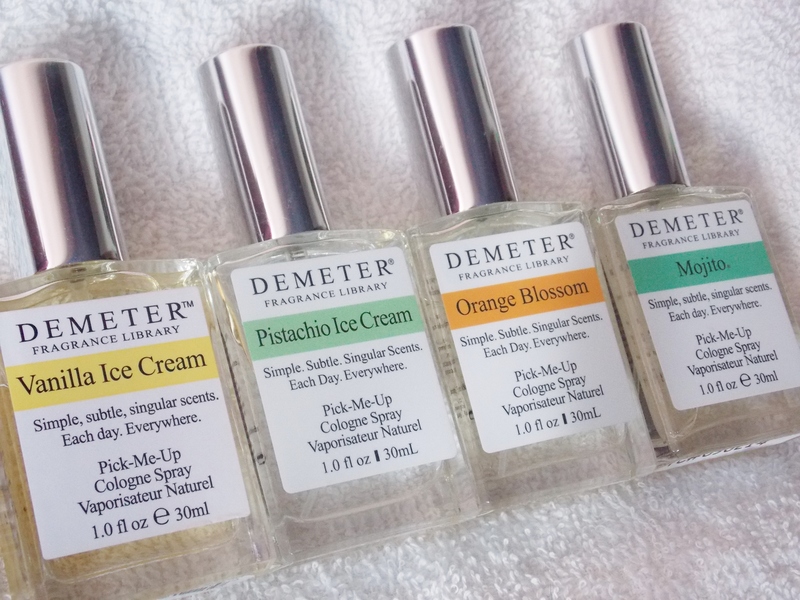 Demeter has a huge array of delicious and unique scents so you’re sure to find one to fit every mood, season, and personality! I tend not to wear ‘pure’ scents as I normally enjoy blends, but I would be really curious to spray more than one of these onto dresses and inside my wardrobe.